There are certain things in your financial life you should pay special attention to. Setting goals, tracking expenses, saving, and investing are just a few items on that list. 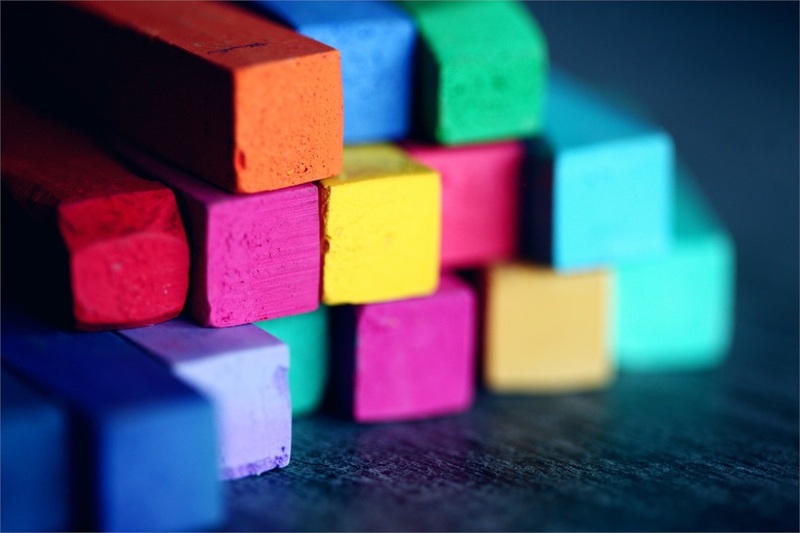 In this post, we'll explore all the building blocks that make up a sound financial plan. What do you have to work towards if you don’t set goals? Sure, you can have general items to check off of your list. Save for retirement, check. Pay of some debt, check. Set money aside for emergencies, check. But, how much do you save for retirement? When do you want the debt paid off? What size of an emergency fund is enough? Goals give you the ability to plan more effectively. If you want $1 million saved for retirement. You can narrow it down to a dollar amount per month in order to hit that goal. To learn more about setting goals, click here. How much do you have coming in and how much is going out? Tracking your monthly cash flow can do wonders for your financial health. Not only does it let you compare how much you make to how much you spend, but it also shows exactly what you are spending your money on. Truth be told, you’re probably overindulging in certain areas. Knowing where you are wasting money should make you more mindful of limiting your spending in that category, and hopefully, use it for one of your goals. This comparison will show you how much money you have left after all of your “must-pay” expenses have been taken care of. Minimum payments on debt are also in this category. To learn more about budgets, click here. This is one of the biggest money wasters because debt is expensive. That APR you’re paying, that's you paying money to use your money. Doesn’t make much sense, does it? Fear not, there are several strategies and methods to get rid of your debt once and for all. However, you have to make the commitment. You HAVE to make becoming debt free a priority. To learn more about getting rid of debt, click here. Saving money is the cornerstone of being financially healthy. You have to save money for retirement and you have to save money for emergencies. Social security will only get you so far in retirement, and unfortunately, too many people are using it for the majority of their retirement income. With regard to emergency funds, if you don’t have money set aside for these expenses, how are you going to pay for them? Credit cards? That’ll rob your income that could be used for other goals. Not only that, but it’ll cost you money if you carry a balance. The most helpful tip I’ve found with regard to saving money is to start small and stay consistent. If you need help saving for emergencies, start with $5 per week. Set it to automatically transfer from checking to savings. Once you are used to that $5 not being there each week, bump it up to $6. Same goes for saving for retirement. If you have a plan with your employer save 1% of your check. Once you are comfortable with that income not being there increase by 1%. If you don’t have a plan with your employer, open an IRA and contribute a little each month. Be advised: some companies have a minimum contribution limit. If you aren’t investing the money you’ve saved, it’s costing you. The interest on your average savings account, right now, is 1%-2% at best. Inflation, right now, is over 2%. So at it’s very best, your bank account is keeping pace with inflation. At worst, inflation is eating into your savings. Inflation is the increase in the cost of goods. So a dollar today is worth less than a dollar tomorrow. I remember a few years ago when a 20 oz bottle of soda was $1.29. Now, that same bottle of soda is $1.89. The best piece of advice I’ve ever heard with regard to investing is to keep it simple and pay attention to fees. Some people want complex strategies because they want the best return for their money. Spread your money across three index funds (domestic equity, international equity, bond). Next step is to diversify between these three based on your personal risk tolerance and time horizon. To learn more about investing, click here. Whether we like it or not, our credit impacts everything. It’ll determine if you can buy and house and at what rate. It does the same thing when you buy a car. Your employer can check your credit, and it can actually impact their decision to hire you. The last thing, it can affect your insurance rates. Lower scores usually equal higher rates. Yes, your credit score is very important. You need to do everything you can to make it better. If you have a bad credit score or are just looking to improve the one you have now, click here. Insurance is a must! You have to protect yourself. Having adequate coverage for your car, home, and your life may just be the most important thing you do for your finances. The one recommendation I can make is when you go to get insurance, ask for help from an independent agent. With an independent agent, you can get a variety of quotes from a variety of insurance companies. Not only that, when you hire an independent agent, they work on your behalf, not for the insurance company. If you’d like to learn more about an independent insurance agency, check out our sister company, CRG Services. Automating your finances is very important, and the options of what you can automate are endless. You can set your bills to pay automatically. Saving for emergencies is easy with automatic, and regular, transfers to a savings account. Same goes for retirement savings. Automating your bills does two things. 1) It makes sure your bills are paid on time. 2) When bills get paid on time, you avoid late payment penalties and fees. This saves you money! When your savings is automated, you don’t have to worry about it. The money you spend throughout the month and where you spend it can be up to you because your savings and paying of bills have been taken care of already. Life changes and so do your goals. Whether it’s a job change or a life change, it’s important to regularly revisit your financial plan, and adapt to those changes. For example, if you have a child. You'll incur a large medical bill, significant monthly expenses, and a long-term goal to plan for (i.e. college education). If your monthly budget is not equipped to handle these new expenses, you have to be prepared to make changes. That could be delaying that family vacation you wanted to take or give up your gym membership, or whatever else it might be. Your financial life has a lot of moving parts and can be complicated at times. However, if you take one thing at a time, and thoroughly lay out your goals and the plans it’ll take to reach those goals, you’ll be in good shape. To learn more about what was discussed in this post, send me an email.